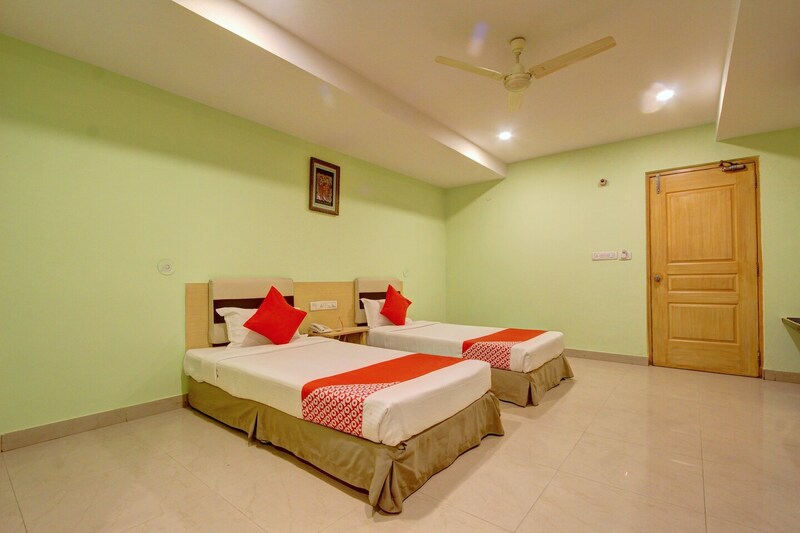 Offering comfort and great services at budget rates, OYO 11376 Golden Park in Hyderabad is an ideal lodging for travelers touring the city. The hospitable and friendly staff of OYO ensures your stay is pleasant. The property offers Complimentary Veg Breakfast, AC, Geyser and more. Take a tour of the Hyderabad and explore key attractions like Jamia Masjid, Birla Mandir and B.M. Birla Science Museum. If you run out of cash, there is ICICI Bank ATM, Lakshmi Vilas Bank ATM and Andhra Bank very close to the hotel.